Ships tomorrow if you order in the next 22 hours 55 minutes. Glutathione (sometimes referred to as "the master antioxidant") is a simple molecule composed of three amino acids. It is found in every cell of the body, where it works intracellularly as an antioxidant to protect cells from damage. It also plays a part in the detoxification process, immune activity and energy utilization. Issues such as stress, poor diet, infection, medications and toxins can slow production of glutathione and eventually deplete stores. 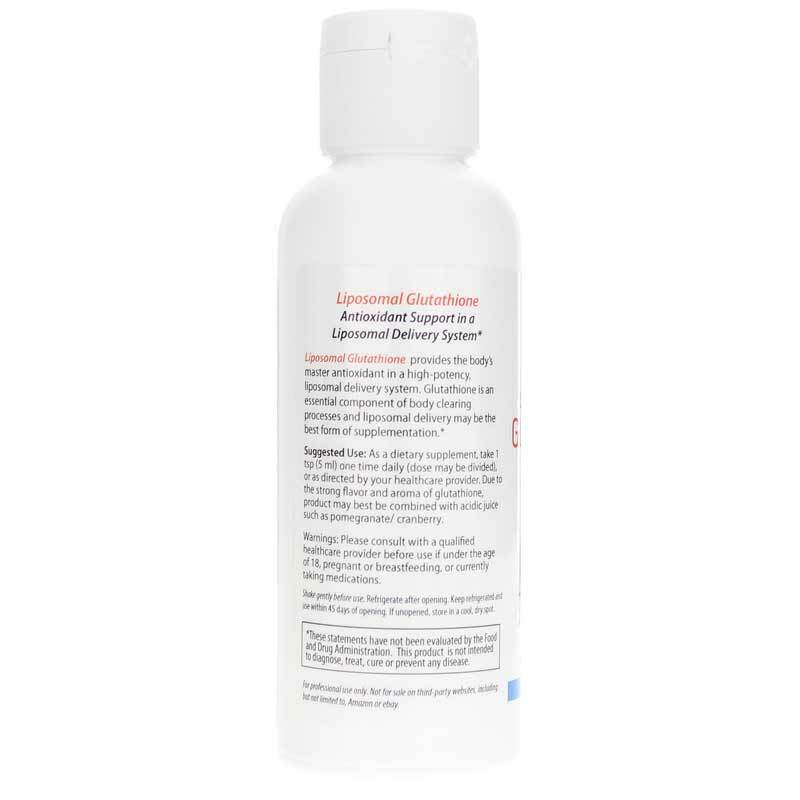 DesBio offers a natural supplement called Liposomal Glutathione that seeks to support antioxidant activity. Suggested use is to take one serving per day (dose may be divided) or as directed by a healthcare professional. 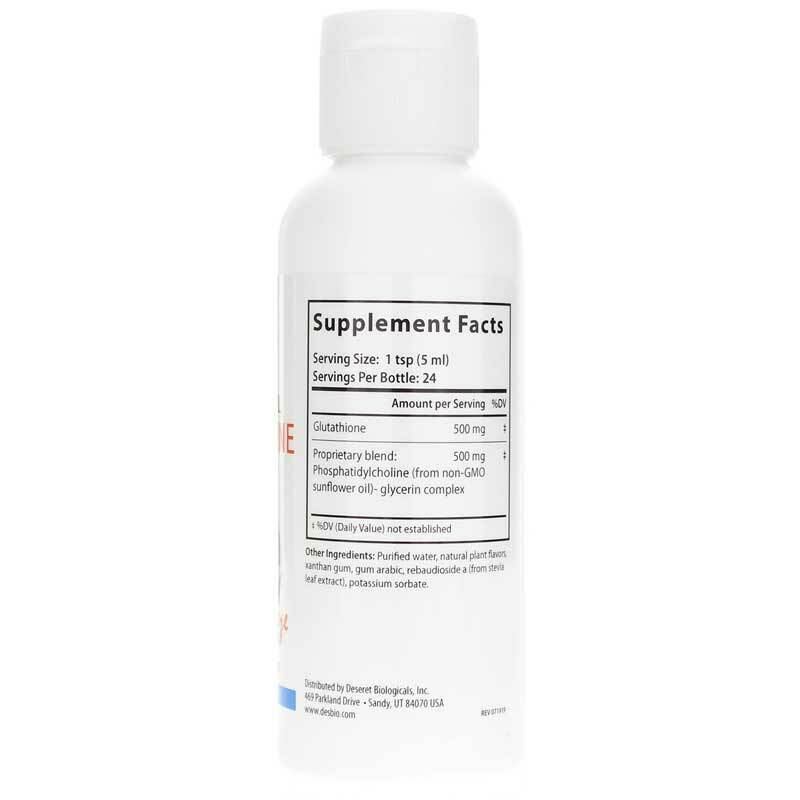 You may combine this supplement with acidic juice, such as pomegranate/cranberry, due to its strong aroma and flavor. 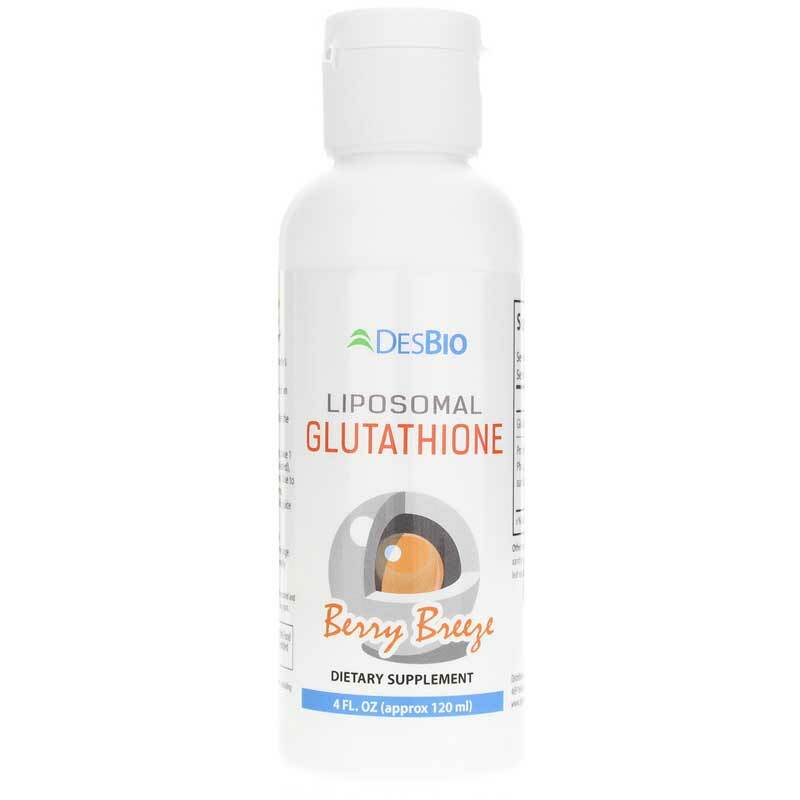 If you're looking for a natural supplement that seeks to support antioxidant activity, check into DesBio's Liposomal Glutathione. Order online today! ---Phosphatidylcholine (from non-GMO sunflower oil) -glycerin complex, non-GMO oleic acid. Other Ingredients: purified water, natural flavors, potassium sorbate. Non-GMO. Adults: As a dietary supplement, take 1 teaspoon one time daily (dose may be divided or as directed by your healthcare professional. Due to the strong flavor and aroma of Glutathione, product may combined with acidic juice such as pomegranate/cranberry. Shake gently before use. Refrigerate after opening. Keep refrigerated and use within 45 days of opening. If unopened, store in a cool, dry place.